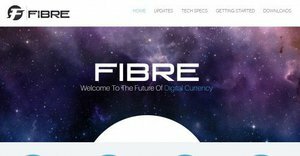 Alinamedia.com – a Swedish web development firm currently building a new cryptocurrency exchange platform – has announced the launch of Hyperbundle.com offering 15% off any steam game code . Run by avid gamers and cryptocurrency enthusiasts Hyperbundle proudly accepts HYPER only for any and all game purchases. 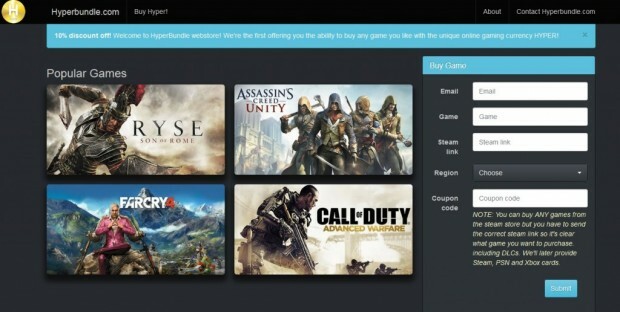 HyperBundle is the first webstore made for HYPER only and is a simple and innovative game store where users can purchase Steam game codes and more. As there are no chargebacks and fraud with HYPER, almost zero transaction fees, and instant payments; Hyperbundle pass on these savings direct to customers. Gamers worldwide can order Steam game codes from any IP address they like. Say goodbye to the lengthy and tiresome anti-fraud procedures legacy Steam game code merchants mercilessly put their customers through. The Hyperbundle team wants gamers worldwide to be able to buy all their games and bundles using the unique cryptocurrency HYPER. In future Hyperbundle will also sell Game bundles, Steam credit, PSN codes, Xbox live subscriptions and more all for HYPER. Hyperbundle is also reaching out to indy game developers worldwide who wish to have their titles included in future bundles and earn Bitcoin, HYPER or USD from game sales on Hyperbundle.com. As well as having launched Hyperbundle.com, Swedish based Alinamedia will be releasing more information soon about their in-house cryptocurrency exchange platform currently under development that should be released before Christmas. 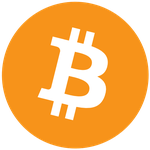 HYPER is a low energy cryptocurrency designed for use in online games, MMOs, virtual worlds and more. The currency is currently used in Counter-Strike, Counter-Strike: Global Offensive, Minecraft, Assetto Corsa Racing, StarMade, Rust, Team Fortress 2, and Zandagort – a space-based strategy MMO game where an in-game free market trading platform for HYPER is being currently developed. Players worldwide can earn, spend and win HYPER on a decentralized network of HYPER game servers run by the community.